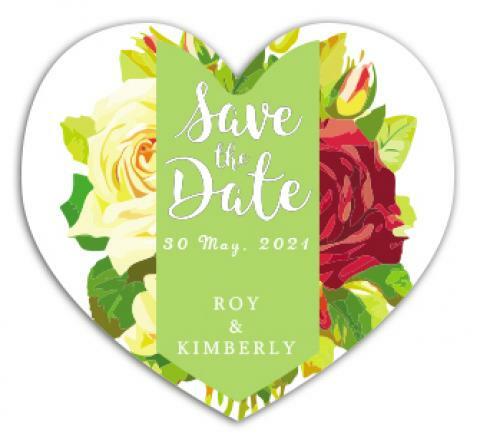 Custom save the date magnets – 3.25 x 3 heart-shaped magnets are large attention seekers from any backdrop and it slowly grows over minds. Couples who wish to ensure maximum participation of their dear ones on their special day can easily rely on this magnet because it helps to achieve their goal with ease. People love retaining this magnet because it reminds them of the special day and later triggers train of memories of the special day. Product Size: 3.25 in. x 3 in.